Just wanted to say hey to the group as a new member. Nice to have you and a warm welcome to Chordie. Why not nip down to the 'Chat' section and tell us a little about yourself so we can get to know you better. Welcome great to have another person join us. Welcome to the madness ! You will find great people and great knowledge here. Glad to have another person in the mix ! It's a lot of fun to interact here - and the bonus is you are in Florida - home of an annual ChordieStock !! I'm sure those have attended will attest to. Welcome CL - As Jim says, I am the host of an annual gathering of chordie folks (and others) in March at my place in Madeira Beach (Tampa Bay area). I hope you consider joining us at the next one. I can pretty much assure you of a good time! A big thanks to all the welcomes!! Excited to be here and looking forward to the annual gathering!! Hey MODS can we move this whole thread to the lounge? 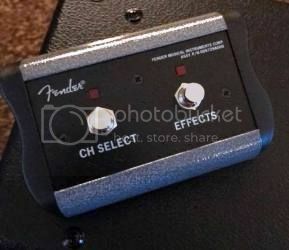 BTW CL is Dona Good, I shanghaied her off of the FB Guitar zoom page. 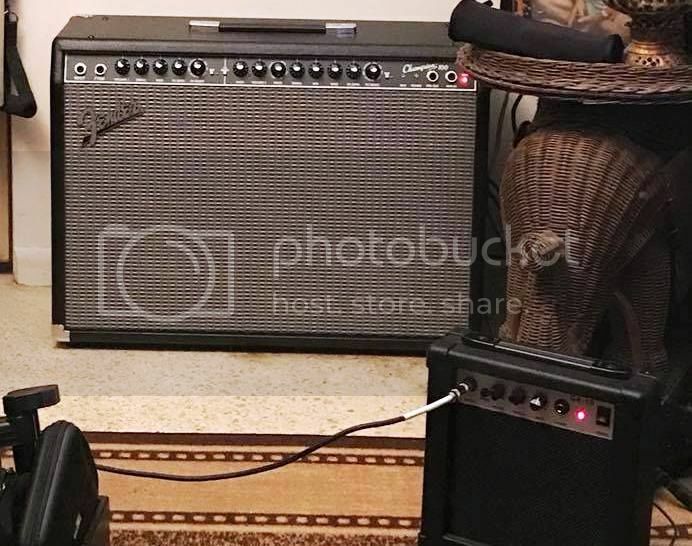 I have helped her on a few learning curves for amps, and she just bought a great upgrade from her 10 watt practice amp. hope you join in comments. Donna. Glad to have you aboard. The annual get togethers are a lot of fun. I'm going to try my best to make it to Chordiestock in Florida in March. Welcome to Chordie, CL ... from 1700 miles away on Canada's east coast. Good gang here, with lots of talent and technical ability. Along with being a terrific site to find info about songs you want to learn, Chordie is also a great place to ask those "Has anybody tried ________ ?" questions, and to get support for your own musical conquests. Welcome from JJJ. I`m the hoarder of the group. Welcome to Chordie. Good to have you as a new member. Hope you keep posting. Welcome to Chordie. Join in. No question is too silly for us. And everyone has something to share, no matter where they are on the learning curve. Dang Jan sorry I did not mean to leave you out when I said to keep Amy company .. Soon as I saw UJB's and Beamers pos....... I saw it. I tried to get a correction in before you responded earlier, but the batteries on my wireless keyboard died so I couldn't. Anyways Dona, welcome - look forward to many good interactions ! Awww all the welcomes are so nice! Thank you so much. 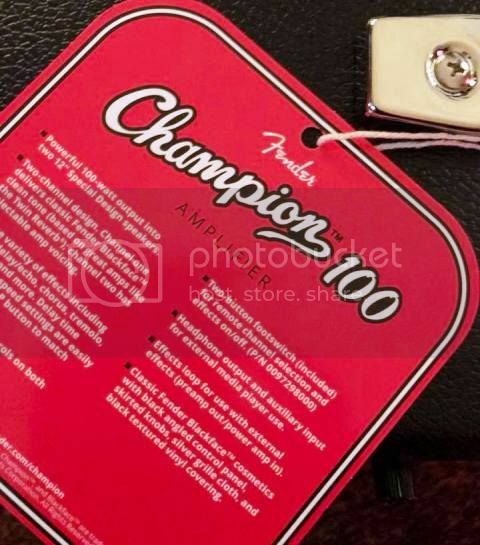 Fender 100 watt Champion! Its like a new baby! Hey Dona welcome from Wales in the UK. Don't worry about spelling, my name is often spelt wrongly and worst of all they sometimes call me English! Now that is unforgivable.